Weekend Offender was first set up in Merthyr Tydfil just outside of Cardiff by two best mates Sam Jones and Rhydian Powell. The brands ideologies are centralised through the youth of today and what they get up too. Creating good quality, functional and affordable clothing to help keep us smart during our weekend antics. 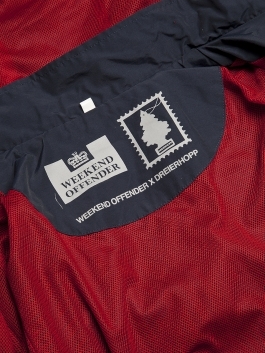 Weekend Offender pushes itself further with their latest collaboration with Berlin retailer, Dreierhopp. This came about through their mutual love of football, fashion and boozing. The jacket is named after Tempelhoffer Damm; a place where german football fans are held by the polizei (German Police) if they have misbehaved. The garment is based upon their classic ‘Suarez’ shape; a shorter cut on the bottom hem so it’s not quite as long as a parka. It is constructed from a 67/33 cotton nylon mix allowing the jacket to be waterproof yet breathable. Only available in navy, with red mesh lining and trims. It has a dual branded neck tab, branded peaked hood and buttons. There is a ‘firm mates’ inner label and split colour ribbed cuffs. 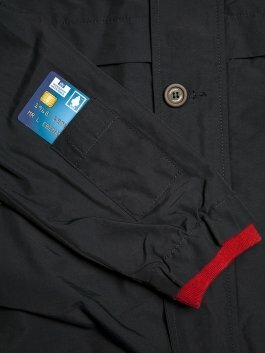 Alongside two slant slit pocket warmers on the body and a card pocket situated on the right arm. 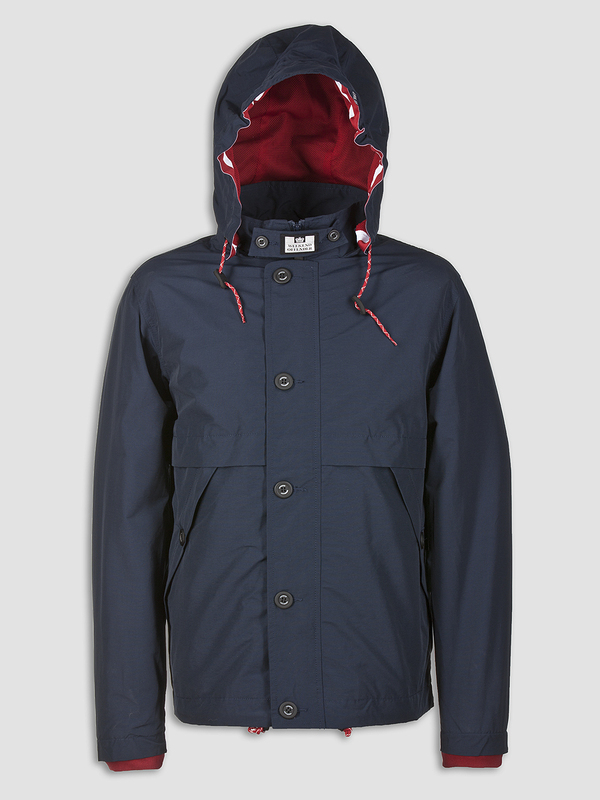 The Te-Damm jacket is perfect for the autumn winds and is limited to 300 pieces so be quick!